October 25, 2018, The Financial Commission, a leading independent member-driven external dispute resolution (EDR) organization for international online brokerages that participate in global foreign exchange (forex), derivatives, and CFD markets, today announces the appointment of Pavel Khizhnyak its Dispute Resolution Committee (DRC). Pavel is the latest industry expert to join the Financial Commission’s DRC – which consists of a diverse panel of industry professionals, who follow a non-bias protocol to process and resolve complaints from our members’ clients. Pavel is a seasoned OTC industry executive with 13+ of experience in China, Russia, and the U.S. markets. Throughout his career he held various executive positions from Country Manager, to Sales and Marketing Director, VP of Global Partnerships, COO and a Board Member in Forex Club and GMI, leading B2C and B2B brokers in Greater China region. 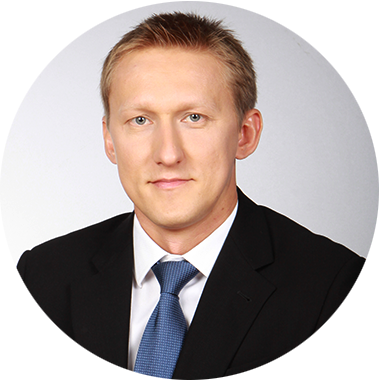 Peter Tatarnikov, Financial Commission Chairman, commented Mr. Khizhnyak’s appointment to the DRC: “Pavel has a great deal of experience and expertise in the Forex market, particularly in Asia. His latest endeavor with Tradefora and efforts to provide added transparency to trading costs and order execution accuracy for traders is a compliment to our organization’s efforts to promote best business practices for our industry”. Financial Commission is an independent external dispute resolution (EDR) organization for consumers/traders who are unable to resolve disputes directly with their financial services providers that are members of the Financial Commission. Financial Commission initially set out to provide a new approach for traders and brokers alike to resolve any issues that arise in the course of trading electronic markets such Foreign Exchange, and then expanded into CFDs and related derivatives, in addition to certifying technology platforms used for trading. For more information please contact us at info@financialcommission.org.